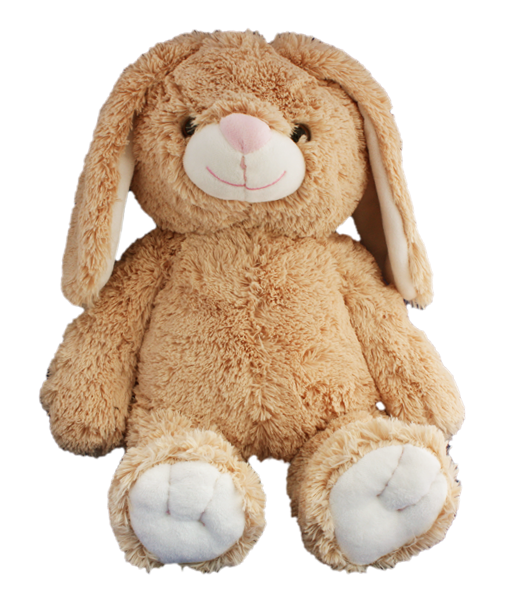 Super Soft Series, you will find that "Flopsy" has the softest fur imaginable! With cute pink accents, you will not want this bunny to ever hop away! This bear has plastic eyes.